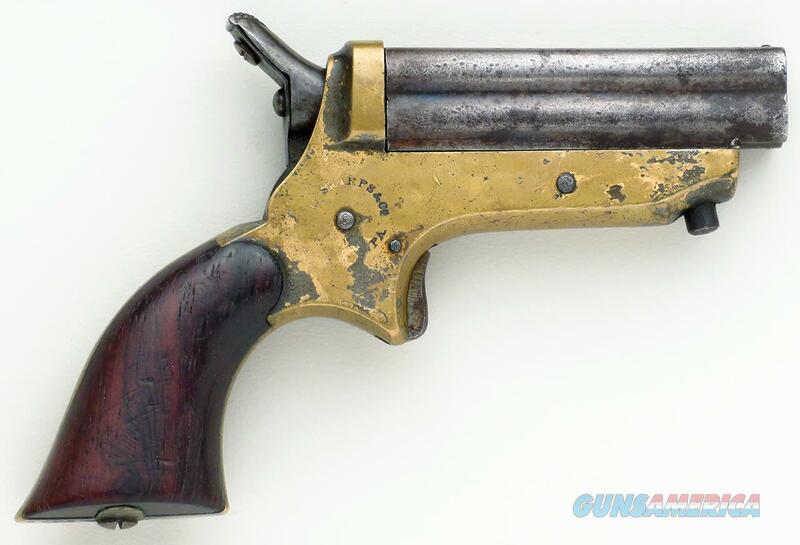 Description: C. Sharps .22 Derringer. Serial 6388 (matching) is an early example with 2.5-inch barrels and smooth wood grips. All four bores show the common roughness expected with these pistols. Mechanical operation is solid, as the firing pin rotates and locks properly in dry operation. The grips also remain solid. The price is firm. Additional photos are available by request (include direct email address).